What Does Canadian Hockey have to do with Baseball? Not a lot, and I have no idea why this video turned me into a blubbering idiot. Maybe it’s the fallout of the Giants/Dodgers game tonight, but for whatever reason, hats off to those 18,000 Canadians who sang their hearts out for our National Anthem. Here take a listen and see what you think …… Courtesy of You Tube Videos. This has been happening a lot lately. Almost every game in fact. The announcer bellows what a fantastic throw the shortstop has made to 1st base to throw someone out. And it’s usually true. They have. And it doesn’t have to be the shortstop. Could be the 2nd baseman, 3rd baseman catcher. You get the picture. But the third time it happened tonight in the Giants vs Padres game I was compelled to grab my camera and take a snapshot of the TV screen. 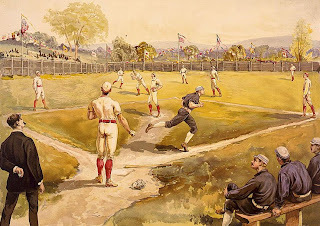 It was important to me to validate what a fantastic job the 1st Baseman does in catching (more like salvaging) a ball that, without his outstanding athletic ability, would have ended up in the dugout or worse. I call it the First Baseman’s Stretch. And if you’ll watch for it, you’ll be surprised how often it happens. That’s probably why it’s a really good idea to get a 6’5″, left-handed guy to handle that base. Even while doing the splits this guy needs the wingspan of a 747 for the reach to make the play. I just wish the commentators would be more aware of giving credit to the player that’s miraculously avoiding a pulled groin every time he stretches to make that catch while at the same time keeping at least one of his toes on that first base bag. Above, Michael Morse makes it look easy ….. kinda ….. sort of. Why in the world was Michael Morse warming the bench in the 9th inning Thursday night? Or in the 10th inning? We’re getting used to it really, because there’s always some silly reason you know? Like the DL injuries up the kazoo, just having an off-night, they outplayed us, outpitched us or we just plain stunk up the place. But Thursday night was different. Michael Morse was a Giant again, something I’ve been waiting for since the day he left. So when he suited up at Spring Training this year there was hope. Hope there wouldn’t be another really, really lousy year like last year. Because now we really didn’t care if we had a really bad bullpen. We had a power hitter. Again. So the line-up is announced on Opening Day and guess what? Michael Morse isn’t in it. And it’s okay. We’re getting used to it, remember? But Wednesday night was different because he was back wearing a Giants uniform. Ahhh, still hope. And he didn’t let us down. So Thursday night I would have been really anxious with the score tied bottom of the 9th, but I knew Morse was in the wings and at least this time we had a chance. It would be okay. And we waited and waited and …… still waiting. So I’m wondering why Michael Morse wasn’t called off the bench in the 9th inning. And I’ll bet there are thousands of other fans wondering the same thing. No big deal. Just curious, that’s all. CONGRATULATIONS CHICAGO CUBS ~ 2016 WORLD CHAMPIONS!! Let’s face it. How many of us really believed the Giants were going to make it to the 2016 Playoffs? You’d have to be the eternal optimist to even suspect there might be a chance after the disastrous play the last half of the season. I mean, really, the team went 0 for 60 in games where they were behind in the 8th inning. That must be an all-time record. Sure, there were some bright spots and there’s always hope in baseball, but really? We know how to win. And this was our time, being an even year and all. The year started out with a bang and we had the rest of the baseball world believing it too, with our best record in major league baseball at the All Star Break. So when the bottom fell out in the 5th game of the NLDS we were in shock and disbelief and we were angry. 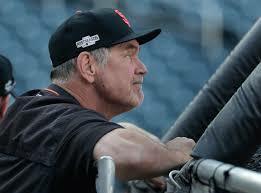 My anger was directed toward our dear quiet, unassuming Manager, Bruce Bochy. The team played their hearts out that last game. Matt Moore’s pitching was incredible throughout, but was pulled at the top of the 9th to make way for our not so incredible bullpen, at which time I left the room and started cleaning up the kitchen. I knew it was over. We all knew it was over. What was he thinking? In retrospect, in my heart I don’t think the 3 time World Champion San Francisco Giants really deserved to be there. And I don’t think they thought so either. Okay. I said it. But that’s how I felt. When you compare it to the Chicago Cubs season, the Cubs belonged there. They deserved to win. And they did win, fair and square. Did Moore have another 10-12 pitches left in him? Probably. But we’ll never know and it doesn’t really matter. It pains me to say it, but the best team DID win and good for them. My point is this. The Giants had a real weakness in the bullpen this year. It was apparent in 60 of 60 games. It won’t happen again. They have an amazing staff that will build on this and they’ll be back. Not all of them, of course, but enough that another world champion team will emerge again. And when it does, and if we lose then, we’ll really know the true agony of defeat. Because in this defeat, we should have felt honored just to be sitting at the table. Personally, I can hardly wait for the NLCS to begin tomorrow with the Chicago Cubs against ….. wait for it …….a worthy opponent, the Los Angeles Dodgers. My bet is on the Chicago Cubs who have the best record in Major League Baseball this year. 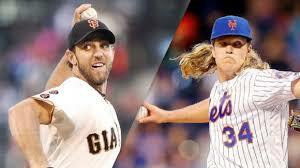 But like Syndergaaard said ……baseball has a way of ripping your heart out ……..
Good luck to the Cubs and Dodgers. It’s gonna be a great series! 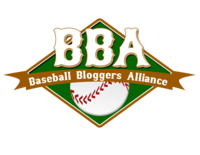 How can you explain Madison Bumgarner and his band of buddies marching to the tune of their own drum after such a pitiful showing following the All Star Break? We knew they were in it because, after all, it is post season and they’ve done it before and in such spectacular fashion. But how many of us truly expected a shut-out against the Citi-Field warriors Wednesday? Not me, that’s for sure. Looking back on this band of misfits in prior years almost every game and every series had a new hero. Most memorable for me was Sandoval’s three home runs in one game against the unhittable Justin Verlander in a World Series Game 1. And the entire Giants team when they forced the vocal Rangers pitcher, Cliff Lee, to the bench and out of the game before the 4th inning in World Series play, back in 2010. 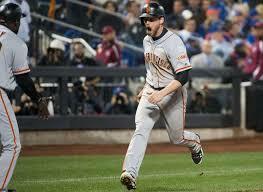 Last night a most unlikely hero found his way to the spotlight with a 3 run homer in the top of the 9th. Without that hit who knows how long that game would have gone on? Remember the 18 innings against the Nats in the 2014 NLDS? We could have seen that last night. Not likely, but possible. Syndergaard had already taken the bench and Bum was headed there, but ’twas not to be. Conor Gillaspie, tied at $507,500, for the lowest paid man on the roster, became a hero in postseason play, alongside the legend of legends Madison Bumgarnerwhen he smacked his home run out of the park for the only score of the game. Rough road ahead you say? But of course. How could it be anything else? Chicago Cubs on the horizon? Who cares? This is post season and it’s the Giants and it’s an “even” year. How can you help but love this Giants team? Best team in MLB the first half of the season and close to the worst the 2nd half. 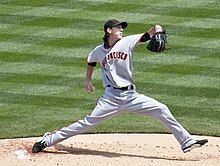 It’s the stuff baseball’s made of and no one embraces it better than the San Francisco Giants. Let the torture begin! 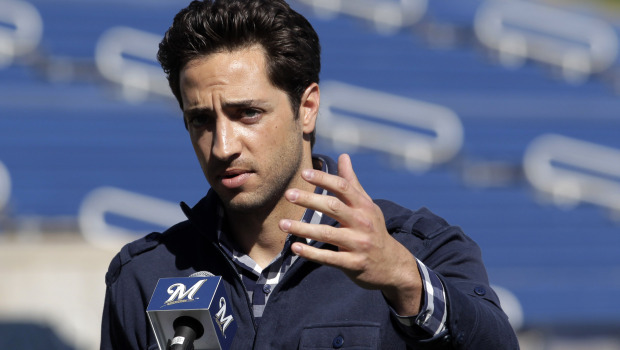 SAY “NO” TO RYAN BRAUN …. Ryan Braun Speaking at a Press Conference after his Appeal was upheld. It’s not that he did the Peds …. it’s that he lied about it so very eloquently. He lied so well he should have been awarded the outstanding Thespian award of the decade. So much for blind faith huh? After he admitted he lied, I wondered then and will always wonder, what the hell else does he lie about? Who is this guy? We have a great group of guys in the Giants organization who support each other and stick together. We don’t need a Ryan Braun. It’s a lot about trust, you know? And we’ve done fine with our home grown talent. Let’s stick with them and let the chips fall where they may. Hang in there Hunter Pence. Were waiting for you!